It's just gone 5AM and I start work in a little under 5 hours. Instead of sleeping, I find myself sat with a pint of Pepsi (I think I need the caffeine!) and feeling the need to write a blog post. It's no secret I've been seriously lacking in all inspiration when it comes to makeup of late. It's a funny thing, the way it seems to come and go. Surely that's not normal? Either way, for a little while I've been debating whether to post 'proper' blog posts on here as well. 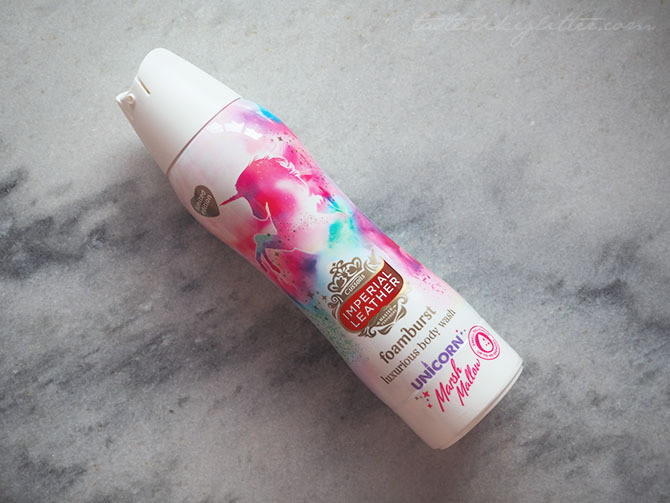 I feel so out of the loop when it comes to this beauty blogging thing now. I still want to do it, I love doing it but I just ... I can't explain it, especially not at this time of the morning. These would replace my Someday Summary's. I'm willing to bet a lot of followers wouldn't like it, there's a poll in the sidebar. If you could vote on it I would be extremely grateful. I've been doing this makeup for almost 2 years now (expect a post on that next week) and I feel like I'm not getting anywhere with it. Time to switch it up slightly? I've recently found a new 'use' for those darn sponge tip applicators. I tried using the Sleek ones for a gradient nail but they're too 'unspongey' so they don't work. 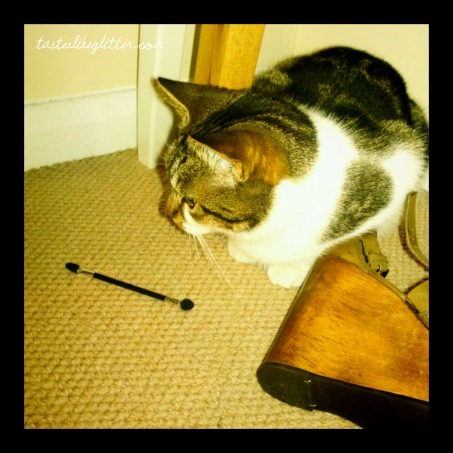 A few weeks ago I found Tilly had hooked one off my dressing table and was tossing it around the house and chomping on it. Like her owner, she's very much easily amused and it's one of her current favourite things to play with. 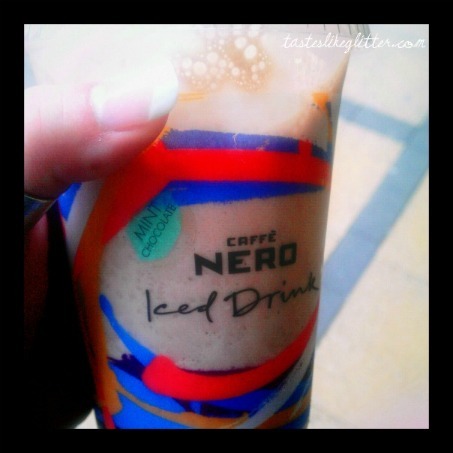 After I had my nails done last week, I ventured into town purely for a Nero Frap, I'm not going to lie. I hate our town centre. It's full of ... Well nothing really. I did manage to pick up a couple of Barry M Nail Paints though! I haven't read anything for ages. So I picked up some books from work recently. I'm currently reading Michael McIntyre's autobiography. It's so funny. I usually hate reading autobiographies but it's actually really good. I still can't read them all in one go but if you like him I definitely recommend. 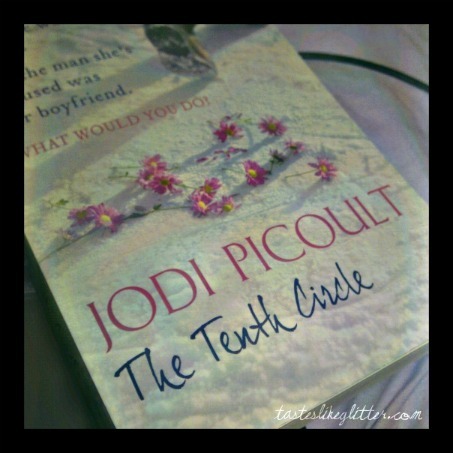 I also love Jodi Picoult. She's a really good writer and although she uses lots of words I don't quite understand, they're always really compelling reads and I hate putting them down. Your daughter says she was raped. But the man she's accused was her boyfriend. I love how you get a quick summary of what the books based on without even having to flip it over. I'm about 2/3 of the way through and it's getting to the exciting bits where you don't want to put it down!